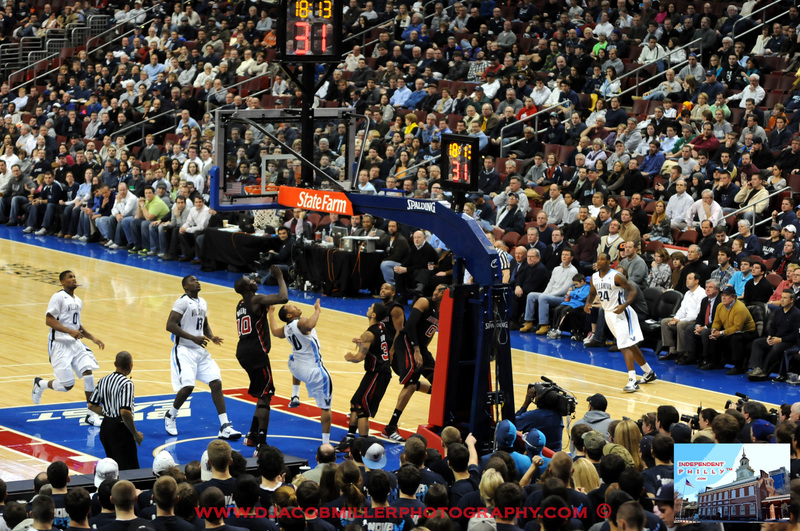 The 7th ranked Villanova Wildcats, with balanced scoring from its starting five, beat the 18th ranked Louisville Cardinals 88-74 in a scintillating Big East match-up at the Wells Fargo Center on Wednesday evening. 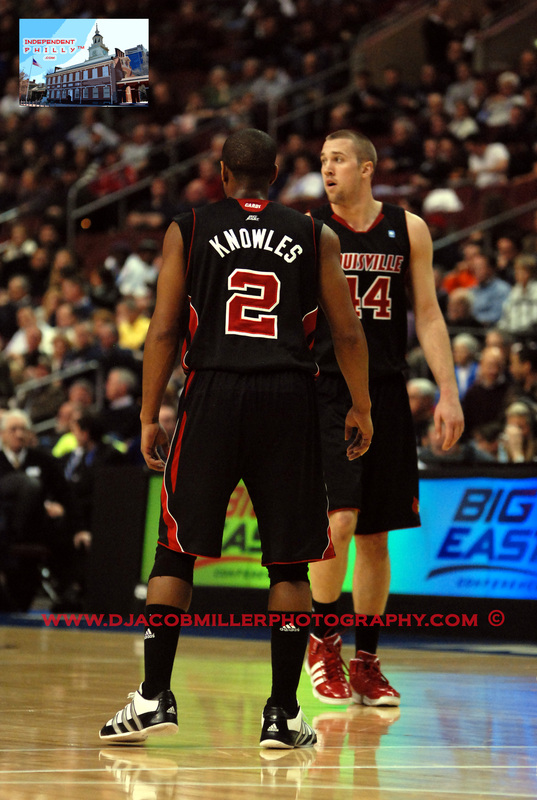 The Wildcats had four players in double figures led by Corey Stokes who finished with 23 points. Stokes was ably aided and abetted by Mouphtaou Yarou with a career high 18 points and a game high 11 rebounds. Corey Fisher contributed 17 points, to go along with a career high 8 boards, and 5 assists. Maalik Wayns added 15 points and a team high 7 assists. Antonio Pena finished with 8 points and 4 boards. The first half featured some sharp outside shooting by both teams. 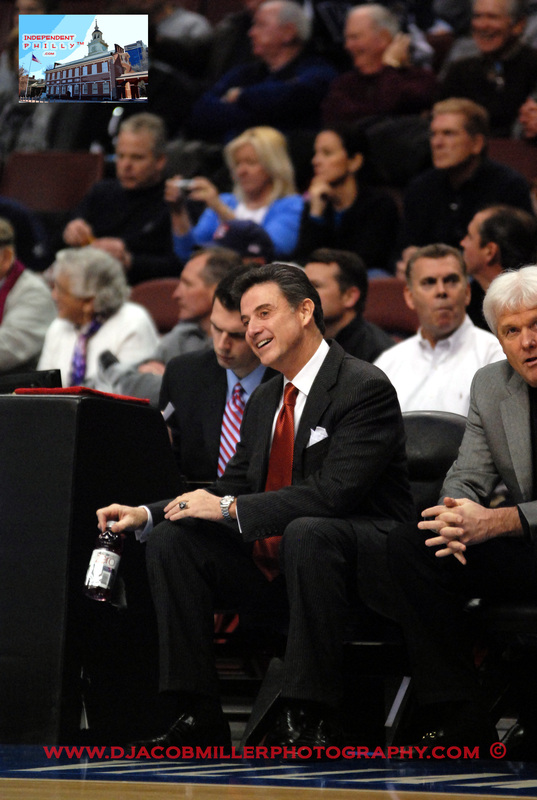 Louisville, coached by Rick Pitino, hit 16 of 31 shots (51.6 %), including 8 for 15 (53.3 %) from beyond the arc. Villanova also shot the ball well in the first-half hitting 14 of 30 shots (46.7 %), and hit 5 of 8 three-point attempts (62.5%). At half-time the Wildcats held a slim one-point margin 42-41. In the second half, Villanova kicked into another gear and went on a 17-9 run to take a 9 point lead 59-50 with 14: 26 left in the game. The lead was expanded to 67-54 on a Fisher three-pointer at the 10:44 mark. Louisville then went on a 9-2 run to cut the Wildcats lead to 6, 69-63. The Cats stormed back scoring 7 quick points, including an old-fashioned three-point play from Yarou, and buckets by Wayns and Fisher, to regain a thirteen point lead 76-63. From that point on, the Wildcats lead was never in doubt. 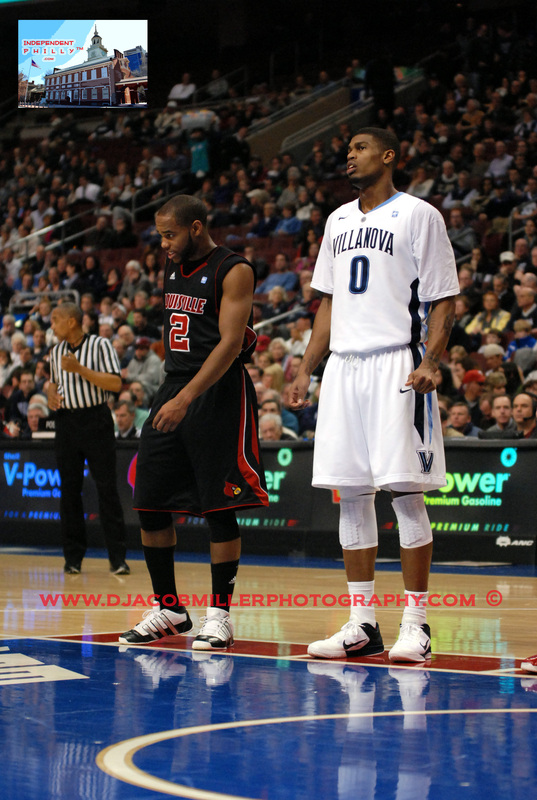 In the second-half, Villanova also clamped down on Louisville’s outside shooters. Louisville hit only 38.7% of its shots after the intermission. Louisville was also held to 40% shooting from three-point range (4 of 10). 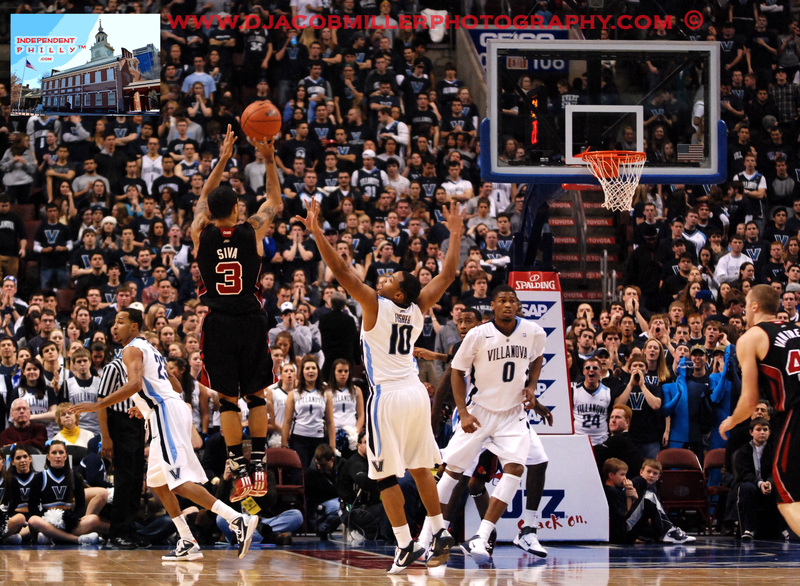 In contrast, the Wildcats shot a red-hot 60.7 % (17 of 28) from the field in the second-half. 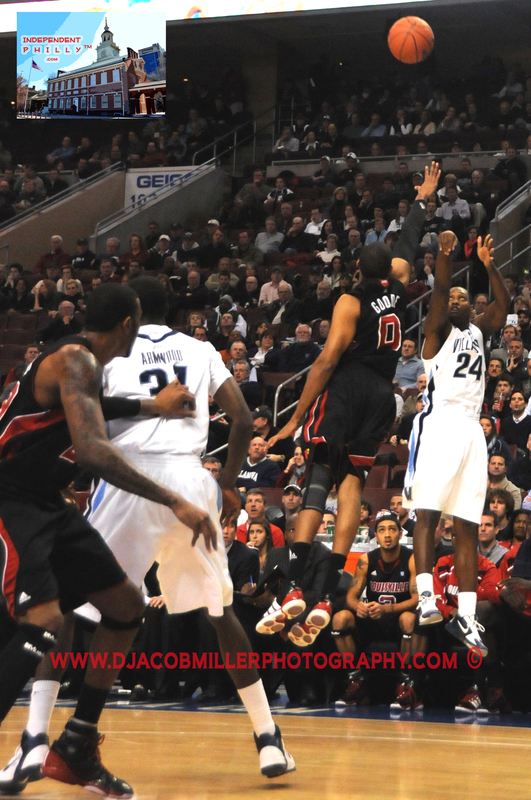 Villanova dominated the boards collecting 41 rebounds against Louisville’s 25. Villanova had 20 assists, but committed 18 turnovers. Louisville had 18 assists and 16 turnovers. Louisville’s leading scorer was Preston Knowles with 24 points, Chris Smith chipped in 18 points, and Peyton Siva scored 14, to go along with a team high 7 assists. 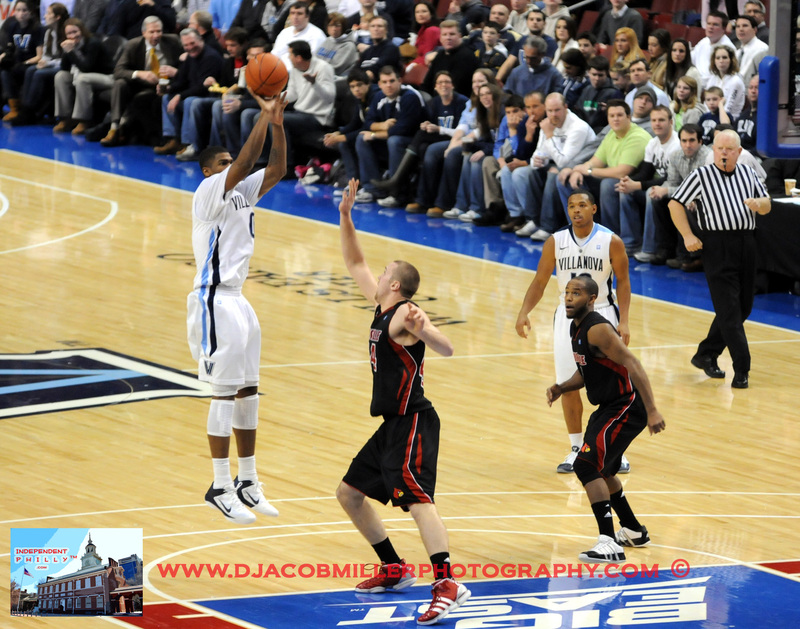 With the win, Villanova ran its record to 15-1, 4-0 in the Big East. Louisville is now 13-3, 2-1 in the Big East. Both teams return to the court this coming Saturday, January 15th. Louisville entertains Marquette in a Big East match-up. Villanova, which has now won ten games in a row, plays its last out of conference game of the season when they host the Maryland Terrapins at 1 p.m. at the Wells Fargo Center. 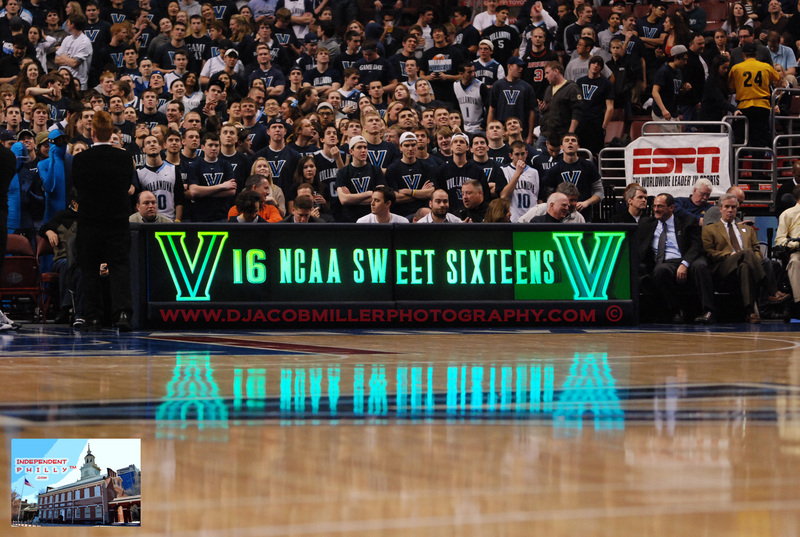 The Villanova game will be nationally televised on CBS.